Loot Raiders developer, Team Chaos, has announced the release of the first major content update for Rooster Teeth vs Zombiens, its action strategy title created in partnership with the Rooster Teeth Entertainment brand. In the game, players defend themselves against waves of alien invaders, called Zombiens, with this first update introducing paid DLC to the experience. This paid DLC is called “Remember the Bungalow,” and it sees players taken to a new level outside of the Rooster Teeth Studios. The area is described as “more wide-open, more variable,” and provides a “more dynamic set of encounters” with the game’s enemies. The DLC pack is available for $0.99. If players are looking for free content, the update has that too, as Ray and Ryan characters have been added to the game’s lineup, complete with new voiceover clips. These characters must be unlocked before they can be used, but they’re technically free to all players who own the game. 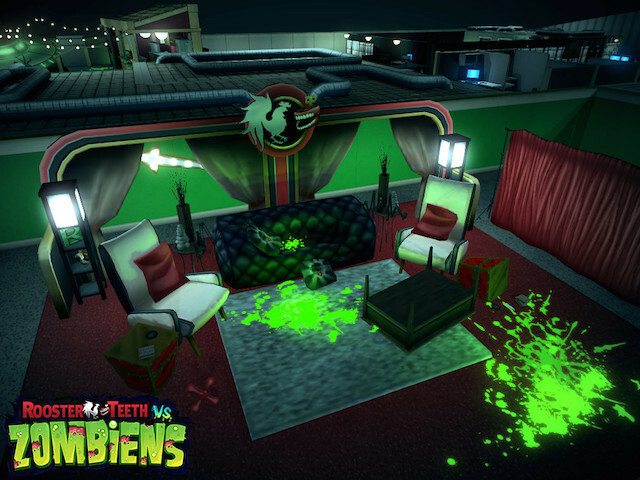 Rooster Teeth vs Zombiens was released late last year on iOS and Android devices. The game featured eight Rooster Teeth cast members to start, and over 1,000 lines of unique voiceover clips. Team Chaos has high hopes for the game going forward, as it has accumulated the largest audience of players for the developer, outside of its puzzle game, Dragon Academy. Rooster Teeth vs Zombiens is on sale for $2.99, for a limited time, on the iTunes App Store and Google Play. The game is also available to download on Steam.